With increased online activity, internet users are now more prone to cyber crimes. To ensure one’s digital safety, it’s important that people invest some time to secure their online presence in order to avoid prospective threats of cyber criminals. To help you with your online security, here’s a step by step guide to steer clear of getting harmed on cyberspace. The first step towards protecting your presence online and offline is to protect your devices with passwords. These passwords should be long, complex, and strong enough that even your best friend can’t guess them (of course I don’t want her to see all the photos and read all the messages in my phone). The passwords should not just be limited to your PC, laptop and mobile phone, but your flash drives and all the other gadgets should be protected with a strong passkey. Always run antivirus on your devices, ideally on a daily basis. 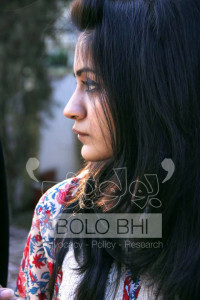 You surf the internet, click on random links, download songs you heard in a friend’s car pretty much on a daily basis. When you download material from random websites without verifying the source, there’s a high chance you’re downloading some additional files without even knowing it. These files can harm your computer or your phone in a matter of minutes, or even seconds. Or they can alter the way you surf the web by showing unnecessary ads in your browser with every click. Antivirus software help keep your machine safe from these bugs and malware. When you run your antivirus, it identify any unknown file or harmful file in your computer and ask you to take necessary actions to prevent any damage. Antiviruses also create a firewall which serves as a layer between your internet connection and the website you’re accessing. So whenever a website attempts to download a harmful file on your device, this firewall blocks the file and notifies you of it. Always backup your data you can’t afford to lose. Do it on an external hard drive or a flash drive to avoid any inconvenience (read: late night meltdown) later. And when you’re traveling, make sure you don’t keep your laptop, mobile phone and your hard drive/flash drive in one bag; you don’t want to lose all your valuables at once if somebody steals your bag. 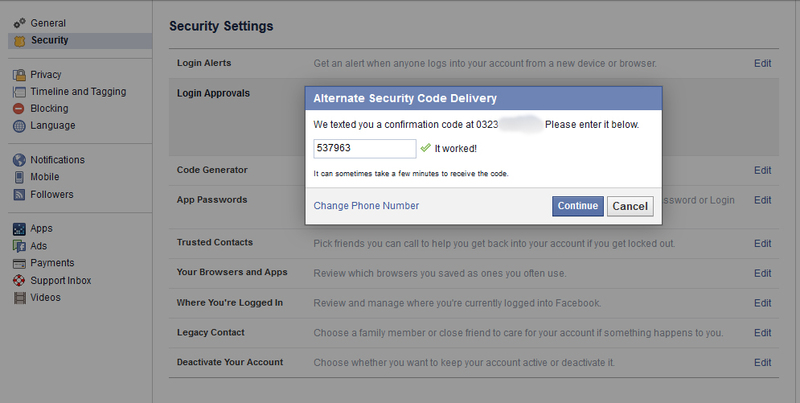 Imagine waking up to an email notifying you that your Facebook password has been changed. You try to login to your account hastily but get an error saying incorrect password. 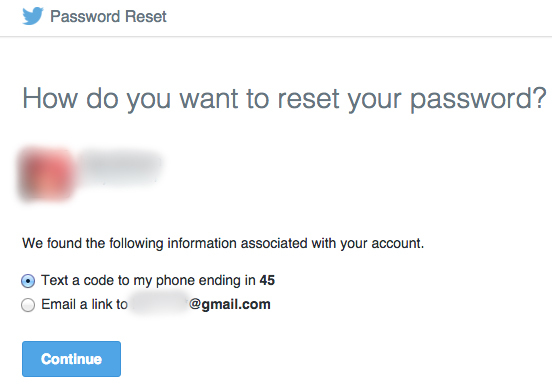 You try recovering it thinking that is still an option, but the recovery email address has been hacked too. I’ll take you through some simple steps to make your online accounts more secure and hard (if not impossible) to hack. To save yourself from such horrible misery, all you need to do is to be cautious and follow a few really simple steps which experts say will make your online presence secure. A combination of different characters is all one needs to get into someone else’s account. Passwords work like a key to all your personal and professional data on the internet. Your passwords in the wrong hands can be disastrous for you, online and offline. – Have at least 13 characters with a combination of alphabets, numbers and symbols. There’s more to securing your account than just the password. Just like you put multiple locks on your doors to secure your house, you need to have more than one line of control for your accounts as well. For that, Google, Facebook and Twitter offer the two-step authentication process that prevents unauthorized access to your accounts. Google, just like Facebook and Twitter, offers an additional layer of security where it lets you assign a phone number to your accounts. What it does is it sends you a unique verification code on your mobile phone (app and/or SMS) whenever you or someone else attempts to login to your account. So even if somebody gets a hold of your password, he/she won’t be able to login without the one-time-use code that’s sent on your phone. Google has its own app for this, called Google Authenticator. 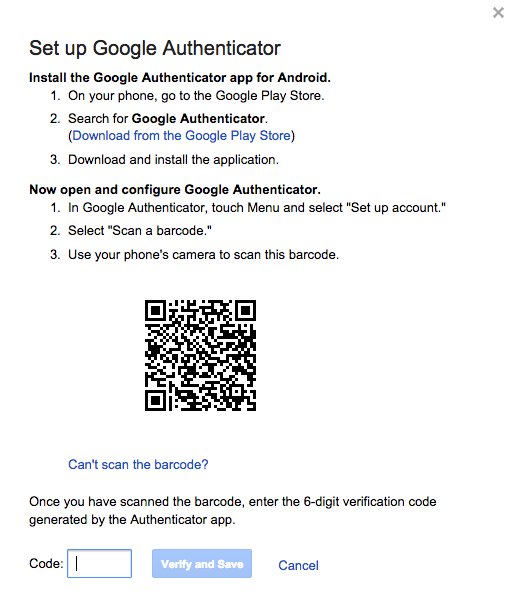 Run through the following simple steps to set up the two-step verification on your Google accounts. After you enter the number, click ‘Send code’. 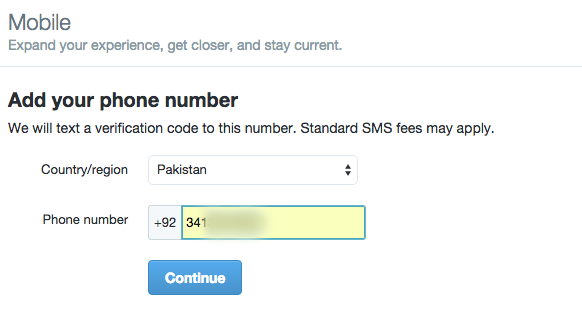 You should now receive a 6-digit code on the mobile number you provided. It typically takes up to a minute to receive the code. Enter the code in the new window that follows. Once you verify the number, it asks if you want to trust the computer that you’re logged in to at the moment. If you click ‘Trust this computer’, it saves the computer ID in your account for future reference and doesn’t ask you to enter the code every time you log in, only at decided intervals. The safe and recommended option is to select ‘Don’t trust this computer’. That way, you’ll have to enter the verification code each time you sign in to any device, ensuring only you have access. 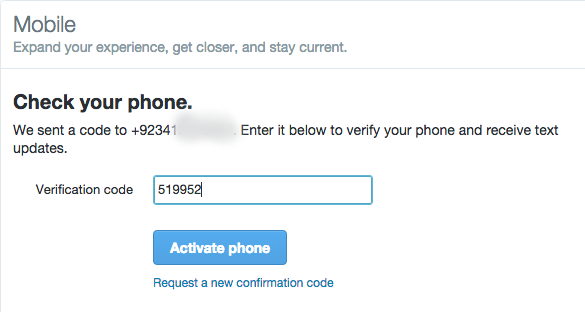 Now that your mobile number is verified, you are taken to a new window where you can see your provided phone number. 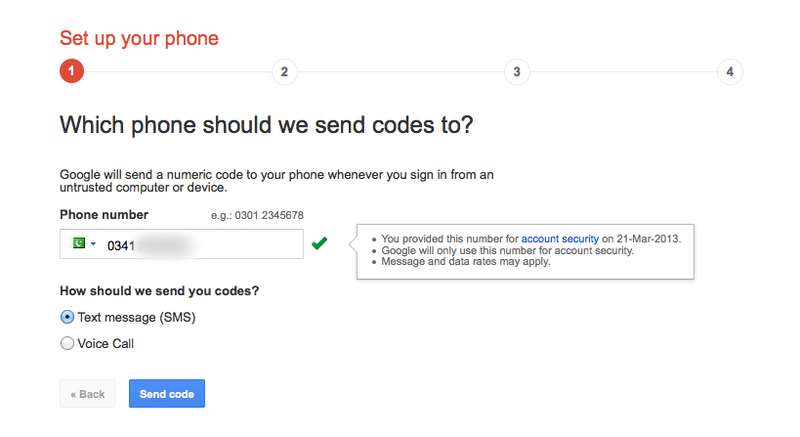 This means every time when you sign in to this Google account, you’ll be asked to enter the code that has been sent to you via SMS on your phone. 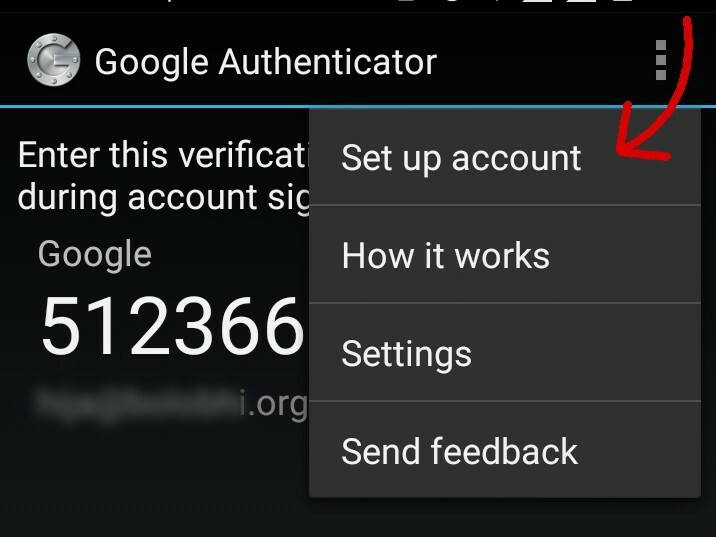 Moving on, you can switch the two-step verification process from SMS to Google Authenticator. It’s important to do this when you’re likely to be traveling and don’t have access to your local/assigned number. It also comes in handy in case the government shuts down cellular networks. 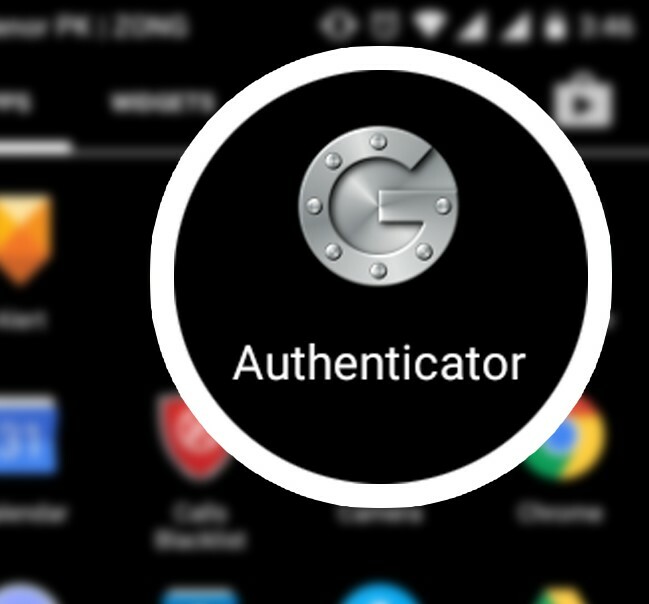 This is when you have to download Google Authenticator app from Play Store or App Store on your mobile phone. 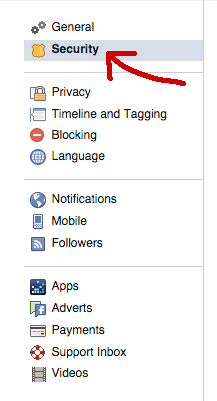 Go to settings (three dots at the top right corner of the app screen). Click on ‘Set-up account’. It should take you to a new window that says ‘Add an account’. There,select option ‘scan a bar code’. 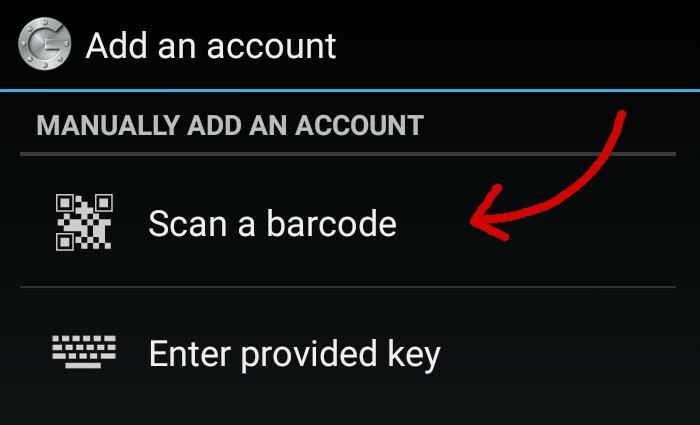 This will verify your Google Authenticator app on the phone, and to verify it on the browser, enter the 6-digit code that you see on the app. 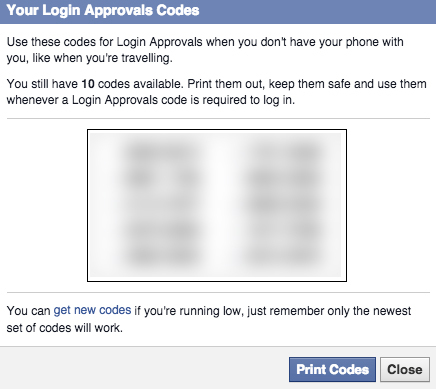 Check ‘No thanks, require a code right away’ and click Close. 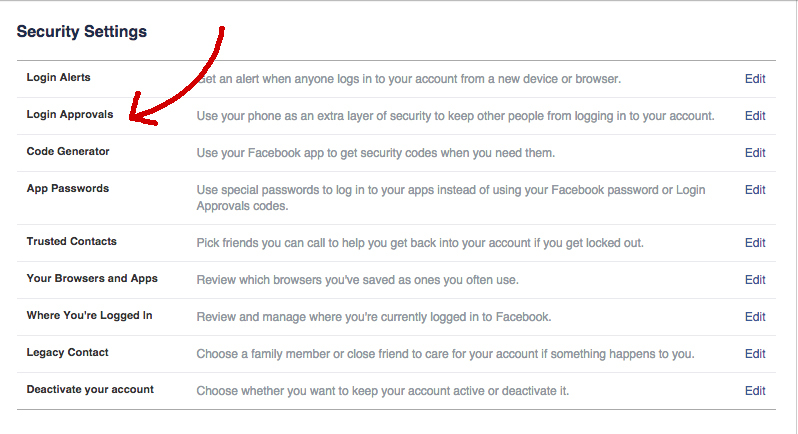 You have now enabled login verification settings on your Facebook account. What happens if you are traveling and don’t have the registered phone number working in another country? You won’t be able to access your own account. For that very purpose, all the websites that support two-step verification let you download backup codes which you can save in your flash drive in case you lose access to your phone. But be sure that you don’t lose that drive. 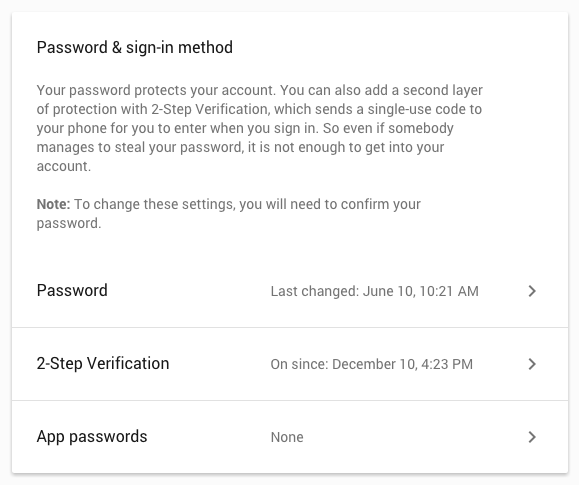 In case you have the two-step verification process turned on your phone (where you get the code as SMS), go to the settings of your Gmail account. 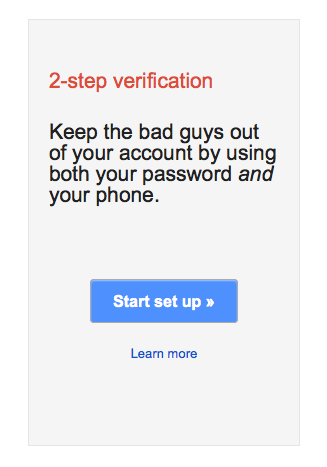 Click ‘2-Step Verification’. When you scroll down, there’s a section of ‘Backup Codes’. There, click on the button that says ‘Print or download’ and the codes will be downloaded in your laptop. We suggest not leaving this file in your computer. Instead, copy it in your flash drive and delete it from the computer. 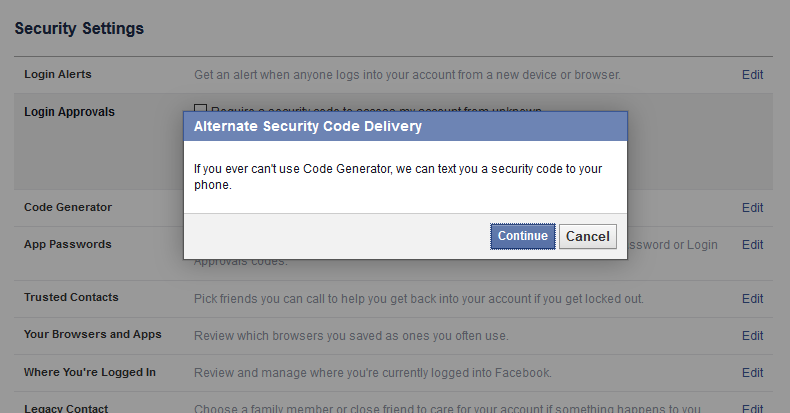 Facebook lets you download backup codes as well, just in case you don’t have access to your phone at some point. 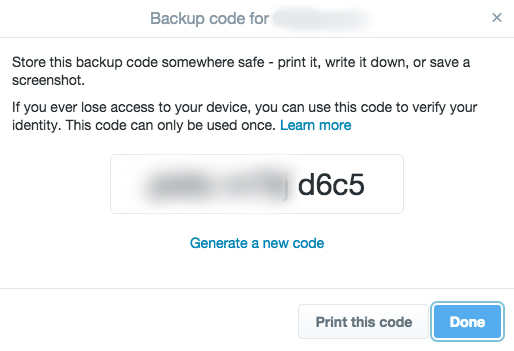 When you click on ‘Get Backup Code’, it will give you a combination of 12 characters as your backup code. Save it, copy it to a flash drive, and delete it from the computer. 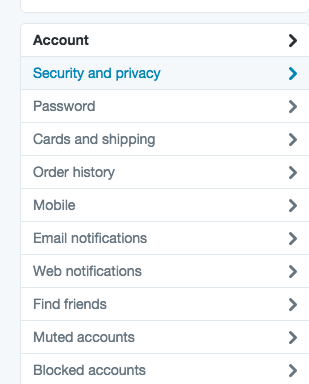 To download the backup codes for Twitter, go to Settings > Security and Privacy > Login Verification. Save it, copy it to flash drive, delete from the computer. Once you lose access to your account for whatever reason, you can gain access to it again by providing the information you entered when you first signed up for the account. So it’s important that you remember all the initial information used to set up your account and any changes that you make. This information can be your recovery email address, your date of birth, your approximate date of sign up, your frequently emailed contacts, the tags that you might have made yourself in your account, and your previous password. There’s a high chance that you’ll be asked to enter most of this information during the process of recovering the account. 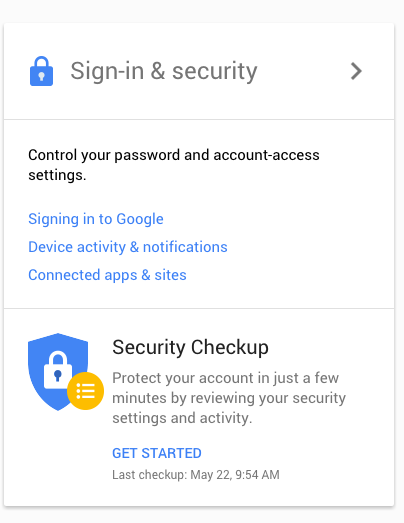 In case your account has been compromised, upon notifying Google, your account will be locked until you recover it by entering the correct information. 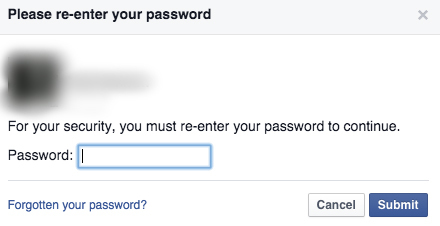 Facebook lets you recover your password in case you still have access to your primary email address for Facebook (the one you login to Facebook with) by clicking on Forgot Your Password, which is right underneath the password field. 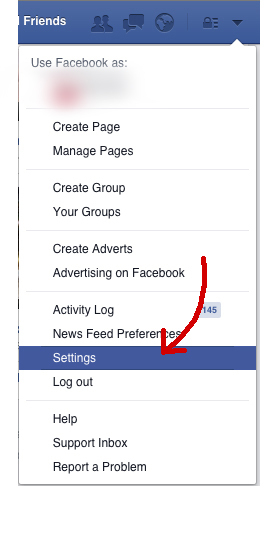 Facebook will ask you to either use your primary email account (the email you use to log in to your account) or have a link emailed to your affiliated account. 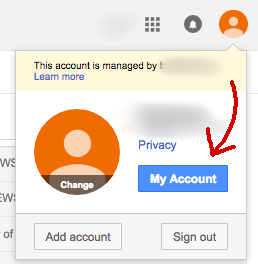 Using your email account (in case of this screenshot, it’s a Gmail account) means that you directly log in to your email through a pop-up window, whereas for a reset link, you’d need to access your email and click the link which Facebook sends you. 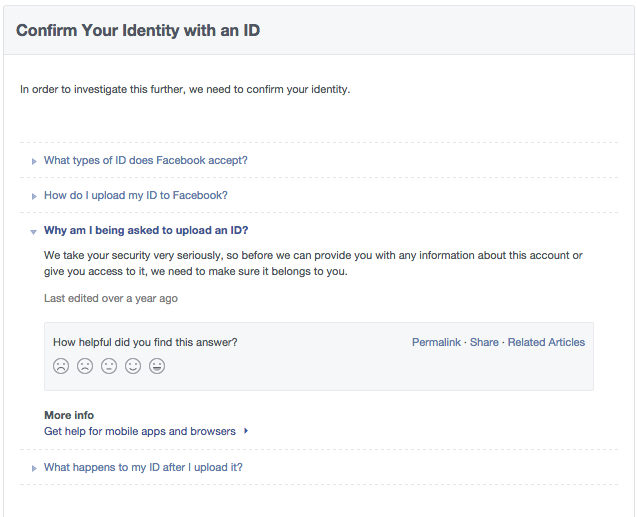 By providing an alternate email address or phone number, you submit an application to Facebook upon which Facebook asks you to provide any sort of legal document (CNIC or passport copy) to prove that the account is really yours. After reviewing the application, Facebook contacts you on the email address or phone number provided to reset your password in case your application is accepted. Otherwise you’ll be asked to provide more information to recover the account. 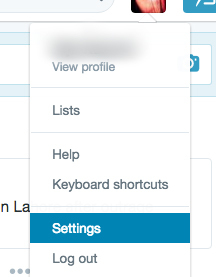 This asks you to choose where Twitter will send the reset link, either on your phone or on your email address. 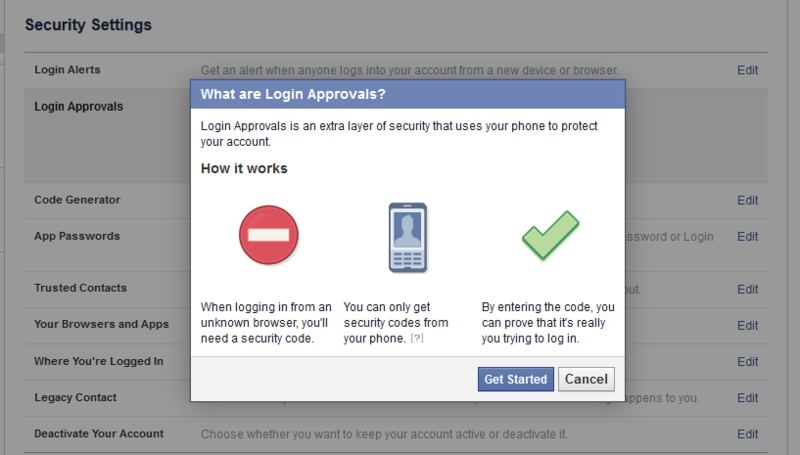 What happens if you lose your account access and not have two-step verification switched on? 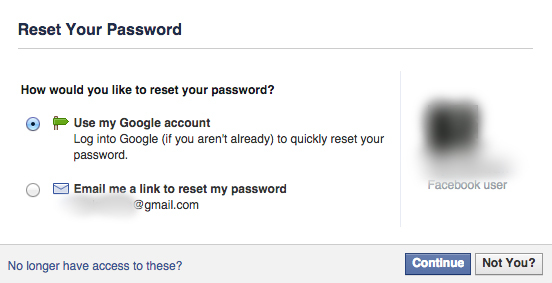 In this case, you have to notify the website about the hacking by clicking on the ‘Forgot your password’ option. It’ll ask you for your email address (the one that you have lost access to) followed with a form to fill in to help them get as much information as possible about your account and for identifying that you own the account. This is to prevent anyone else gaining access to your account. To recover password for Google, after clicking ‘Forgot Password’, you’ll be required to enter your last remembered password, and an alternate email address where you’ll be contacted by Gmail to recover your account. 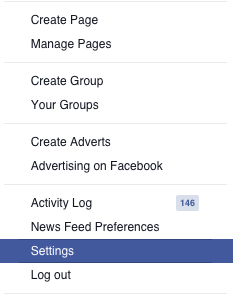 On the next page, you’ll be asked to enter few details of your account like the last time you logged in to it, and the date you created your account. Once entered, you’ll receive an email on the alternate email address that you provided. Follow the instructions in that email and you’ll be able to recover your account. In case you have lost access to your Facebook account, it requires you to send a proof of identification (CNIC, passport or any documents) to recover the account. 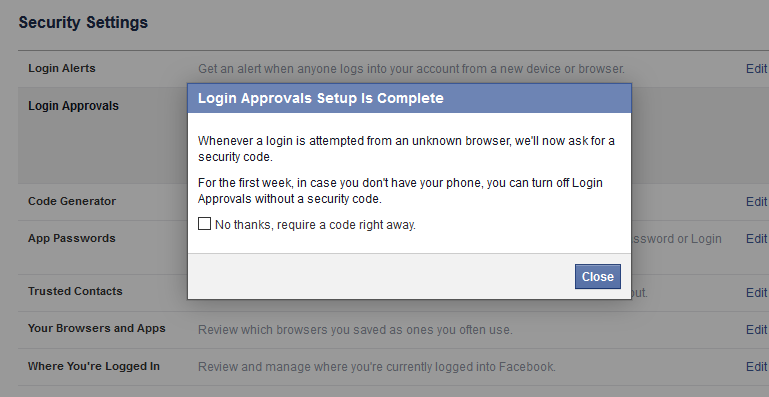 This is due to Facebook’s real name policy, according to which you can only set up an account using your real name. In case you don’t make it in your real name and end up losing access to the account, you won’t be able to recover it. 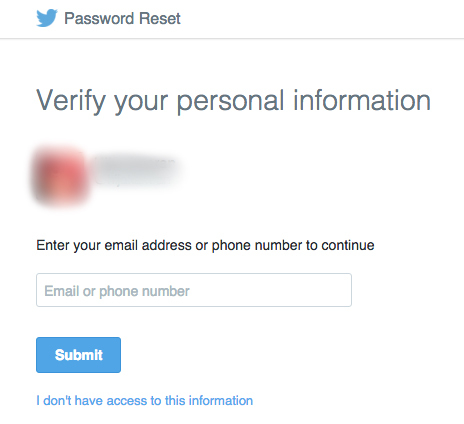 Unlike Facebook, Twitter doesn’t require any document when you submit an application to recover your password. They ask you to enter your username to identify your account, and then the email address or phone number where you’d like to be contacted by Twitter to assist them in recovering your account. According to Twitter, it takes a few days for them to recover an account if the person reporting cooperates with the team. Nothing is ever absolutely private on the internet. Post wisely.